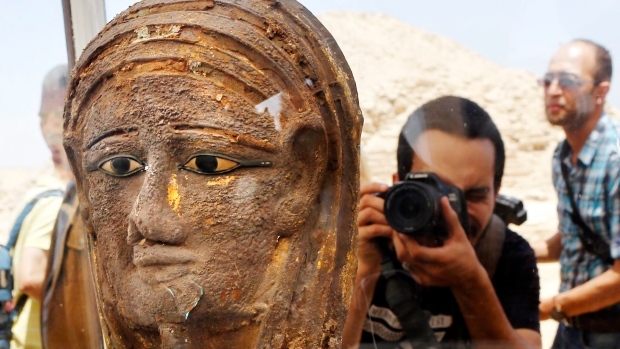 CAIRO -- Archeologists in Egypt stumbled upon a new discovery dating back to more than 2,500 years ago near Egypt's famed pyramids at an ancient necropolis south of Cairo. 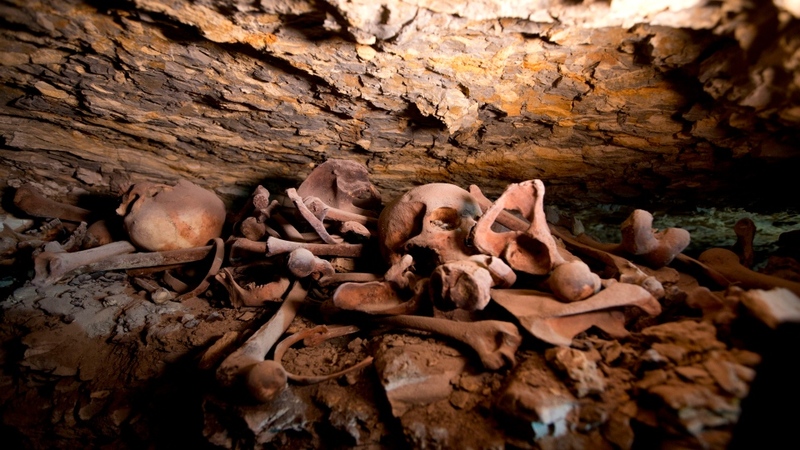 In the mummification workshop, an embalmer's cachette holding a large collection of pottery vessels, bowels and measuring cups were found. 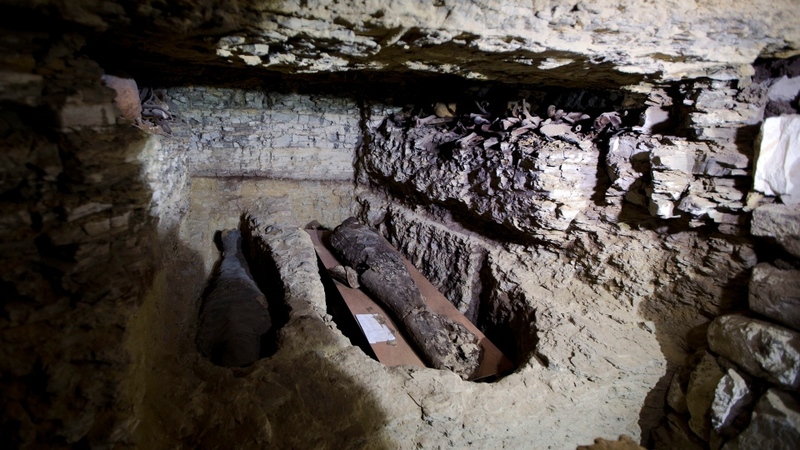 Archeologists believe the findings will reveal more about the oils used in the mummification process in the 26th Dynasty. Archeologists also found a gilded silver mask on the face of a mummy in a badly-damaged wooden coffin. 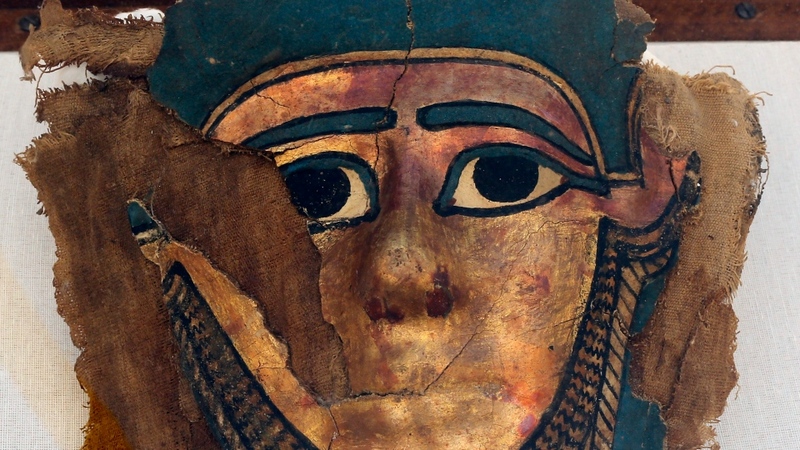 The mask, the first to be discovered since 1939, belongs to a priest.